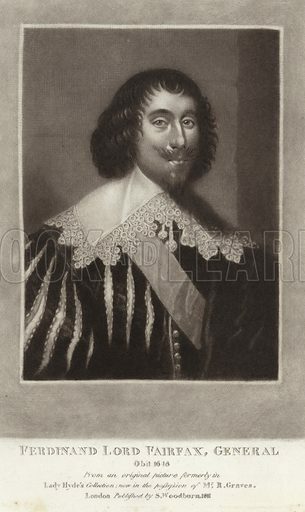 Ferdinand Lord Fairfax (1584-1648). English politician and a commander in the English Civil War. Illustration for Portraits of Characters Illustrious in British History. Published by Woodburn 1815. Available worldwide for immediate download up to 3,088 x 5,182 pixels.